The problem is very real ! Do you have personal photos or videos on your device? If it's ever lost or hacked your privacy is at serious risk! Do you have company documents on your computer? Confidential information and even your job can be in jeopardy! Are you a professional working with sensitive client files? Thumbnails endanger your client's privacy and your entire practice! 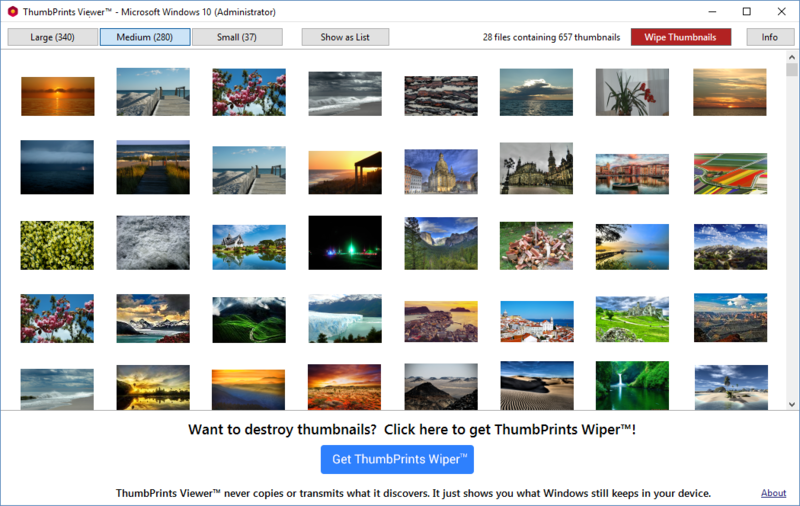 ThumbPrints Viewer™ is a powerful forensics app that discovers every thumbnail image in your device! Find out now… it's completely free! Want to destroy thumbnail images instead of just viewing them?